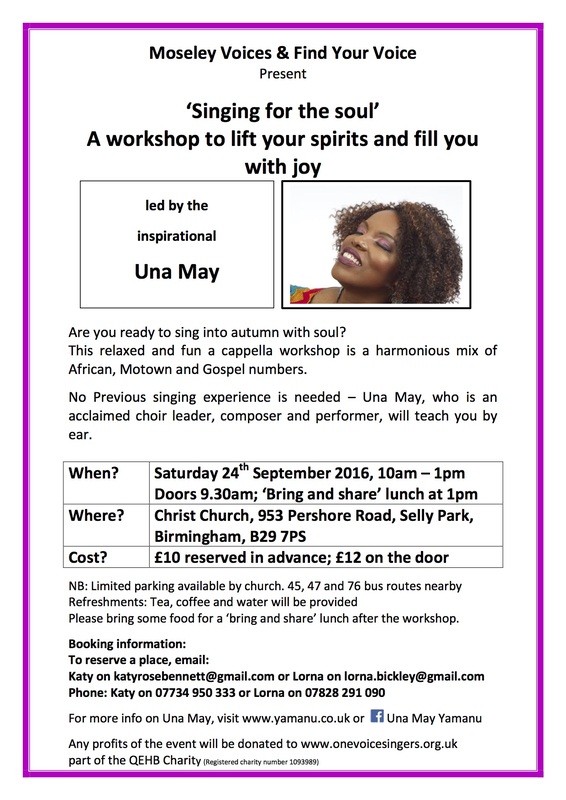 This relaxed and fun workshop is a harmonious mix of African, Spiritual and Gospel numbers. 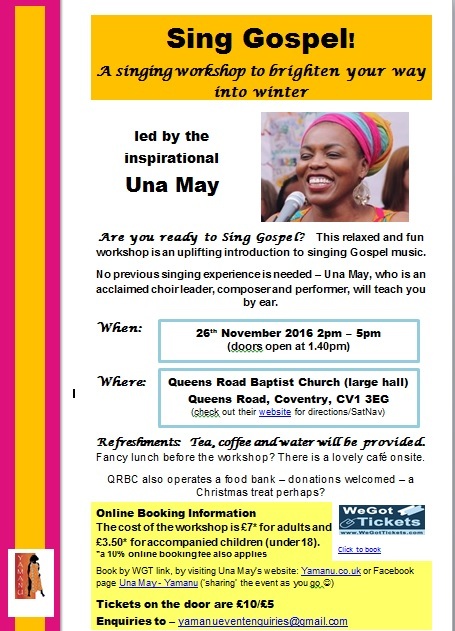 No previous singing experience is needed – Una May, who is an acclaimed choir leader, composer and performer, will teach you by ear. Are you ready to sing into summer? 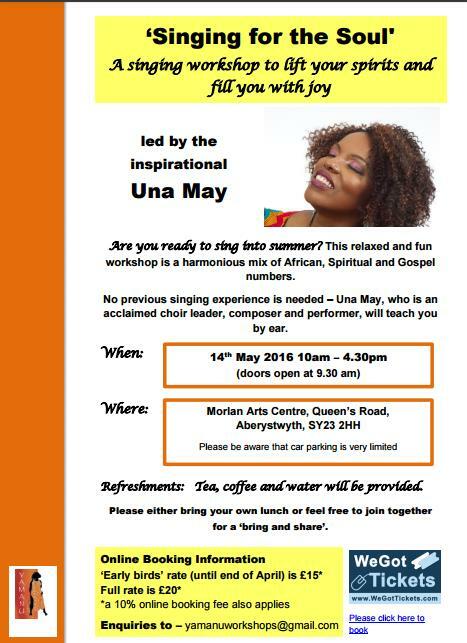 14th May 2016 10am – 4.30pm (doors open at 9.30 am). 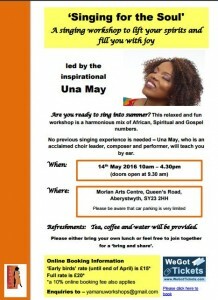 Morlan Arts Centre, Queen’s Road, Aberystwyth, SY23 2HH. Please be aware that car parking is very limited. Tea, coffee and water will be provided. Please either bring your own lunch or feel free to join together for a ‘bring and share’. *a 10% online booking fee also applies. Download the flyer to invite your friends. Book your ticket online via WeGotTickets. At Community Choirs Festival 2016 WorldSong garnered a loud applause from the audience for their stunning performance of “Sarba Pe Loc”. This upbeat Romanian song was introduced to the choir by Diana. Check out the pictures of the day on the festival’s Facebook page. 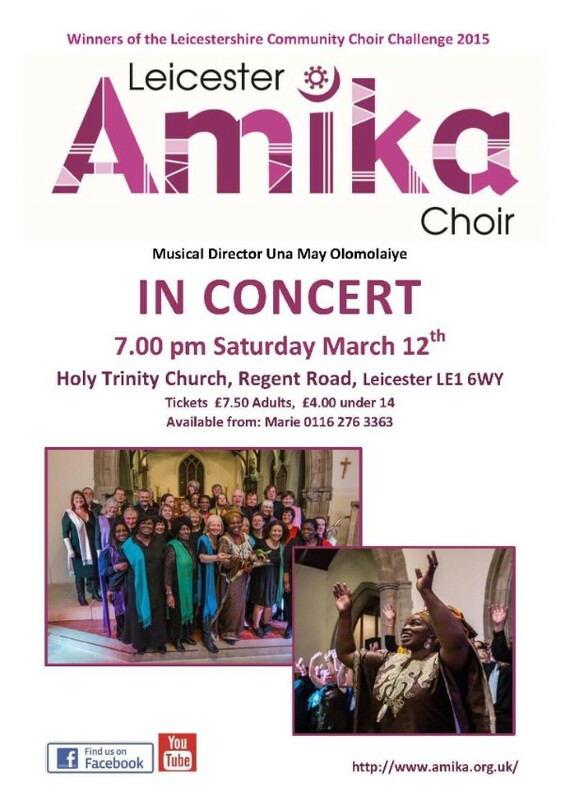 Holy Trinity Church, Regent Road, Leicester 7pm. Tickets: £7.50 Adults, £4.00 for under 14. Tickets available on : 0116 276 3363 or on the door. The Community Choirs Festival is a wonderful day of mass harmony singing workshops followed by a concert, by the choirs, for the choirs. The festival sold out extremely quickly this year but WorldSong has managed to book their spot. On Sunday the 20th of March WorldSong will perform at the festival in Stratford upon Avon. 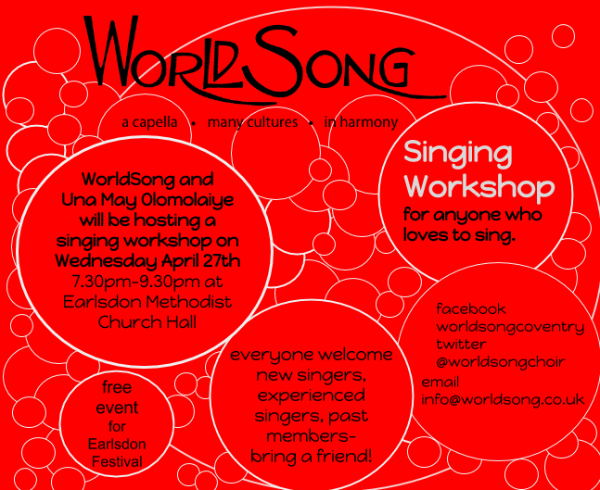 For a taste of what’s coming, check out WorldSong’s performance of Kalkadunga Yurdu on the Community Choirs Festival 2015. Welcome to my new site! My old site is still available too. 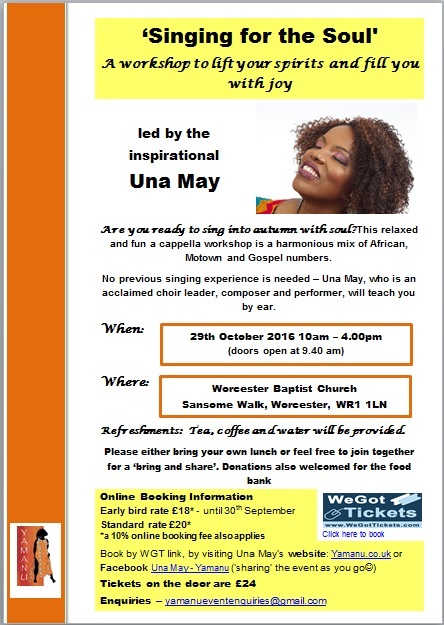 A creative blend of soul music and African gospel for uplifting harmonies you won’t forget!